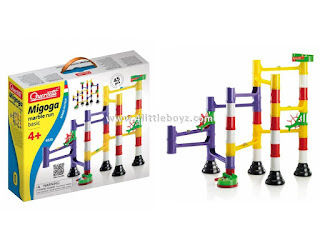 Assemble your own marble runs with this excitingly challenging construction set. Reproduce the layouts pictured on the box or have fun experimenting with new designs. Interlocking chutes, bridges, pillars, and spinning wheels can all be combined in countless configurations that guarantee hours of great fun. 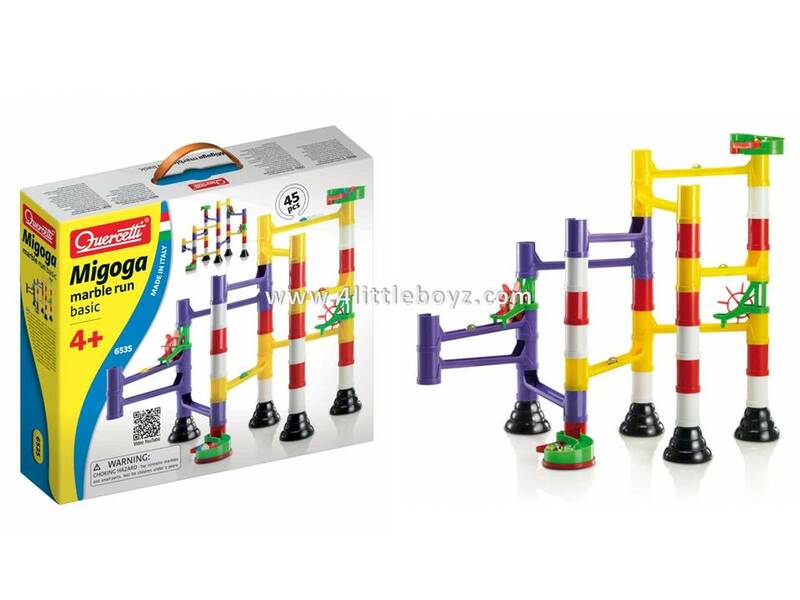 Marble Run promotes creativity and logical reasoning both of which are required to place and fix the components precisely and get the marbles rolling. All pieces are made of high-quality materials. They are unbreakable and durable and allow you to build solid and precise structures that will amaze everyone.